Victor Hugo, Tom of Finland, Tilda Swinton and the Marquis de Sade may not, on the face of it, have a great deal in common, but they have all inspired perfumes from the French niche-fragrance brand Etat Libre d’Orange. 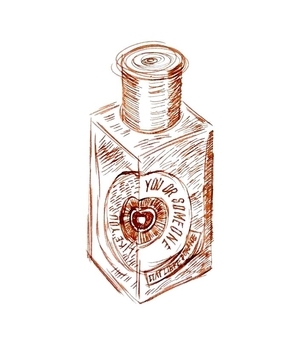 You Or Someone Like You is a collaboration with American perfume critic Chandler Burr, inspired by (and named after) his first novel, a comedy of manners set in Los Angeles, which I’d highly recommend. Though Burr points out that his perfume is not intended as an ‘olfactory landscape painting’, the heroine of his book is a keen gardener, and the scent he’s created with perfumer Caroline Sabas is as fresh as a spring morning in Beverly Hills. Zingy citrus, rose, sharp grass and delicious hit of spearmint make for an addictively refreshing summer cologne – so addictive, in fact, that my bottle is already half empty.